Save the date! 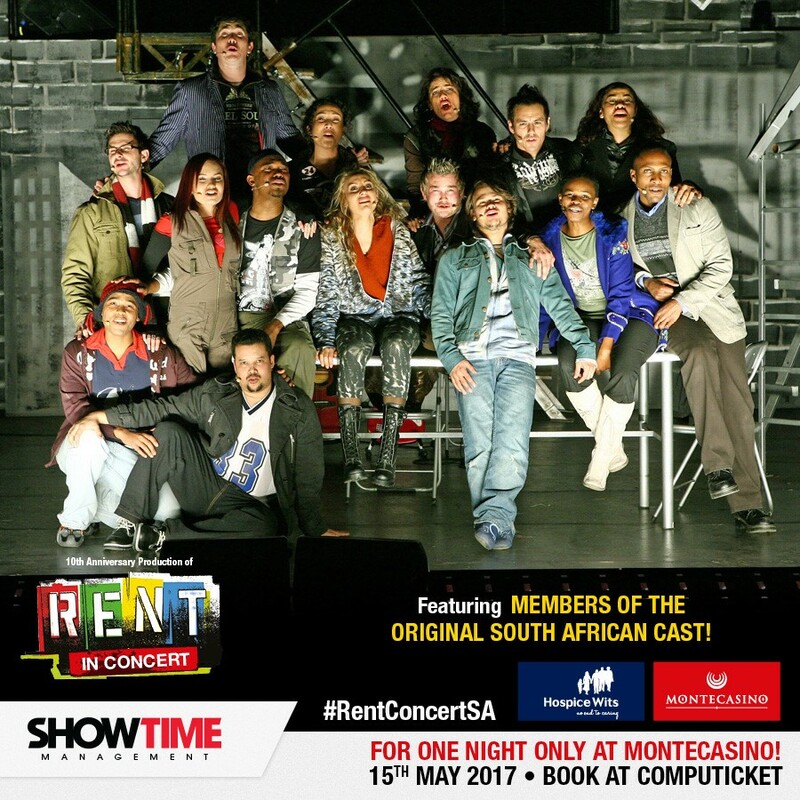 Showtime Management’s 10th Anniversary Production of Rent in Concert takes place at Montecasino’s Teatro on Monday, 15 May 2017 at 8pm. 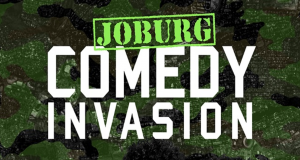 Tickets are now on sale at Computicket. 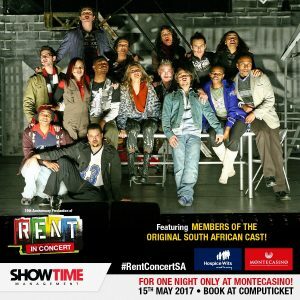 Presented by Showtime Management, this celebratory one night fund-raising concert features the much loved iconic and popular numbers from the stage production of Rent including Seasons of Love, Out Tonight, Without You, Will I and Take Me Or Leave Me performed by the original South African cast who reunite especially for this concert. They last performed together to rave reviews in the Tony and Pulitzer Award winning musical production of Rent, produced by Showtime Management ten years ago at the Alexander Theatre in Braamfontein and then Artscape, Cape Town. “One is tempted to return just to relive the glorious music,” raved the Tonight on 20 July 2007 and now “Rentheads”, fans of the musical and theatre-goers are invited to take this once-in-a-lifetime opportunity to enjoy Rent in Concert. Based loosely on Puccini’s La Boheme, the musical production of Rent follows a year in the life of a group of impoverished friends struggling to make it in New York’s East City Village as they struggle with relationships, drugs, loss, love, creativity, HIV/AIDS and paying their “rent”. 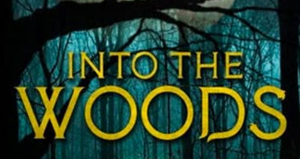 This concert version presents the entire score sung and performed with minimal staging. 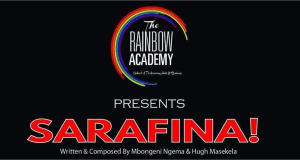 It’s all about the music, the songs and the strength of the beautiful voices that will have audiences singing along or sitting mesmerized, longing for more. All proceeds go to HospiceWits whose “no end to caring” motto resonates with Rent’s themes of love, losing a loved one to a terminal illness, friendship and support. The music and lyrics written by Jonathan Larson performed by the South African cast tell the touching story though song. 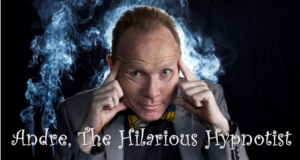 The cast is passionate about the concert and eager to give of their time to support HospiceWits. 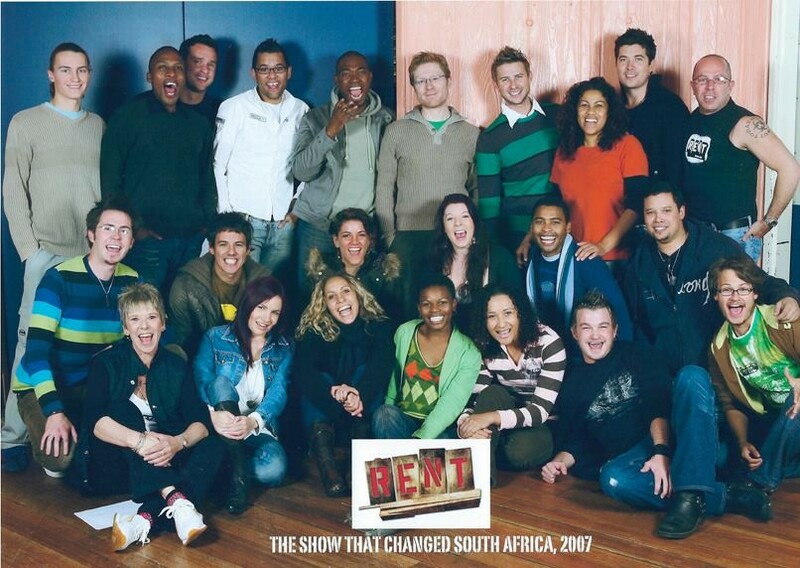 All the 2007 leads – including Shaun V who is flying in from Dubai – and some from around the country, sees Duane Alexander, Aubrey Poo, Zane Gillion, Thokozani “Zano” Nzima, Talia Kodesh, Sivan Raphaely and Ilse Klink together with fellow cast members Chantal Herman, Jaco Van Rensburg, Anton Luitingh, Megan Victor-Carelse and Lorri Strauss on stage on 15 May. New to this staging will be Phillip Schnetler and Nicholas “Nicksoul” Nkuna, who are looking forward to joining the original performers. What started as a light-hearted Facebook chat about getting together for the 10th Anniversary of RENT is now becoming a reality. Hazel Feldman and Tony Feldman of Showtime Management, the original producers of Rent are lending their full support to Rent in Concert and Montecasino, the concert host is providing the Teatro as the concert venue. Technical companies Gearhouse Splitbeam, ProSound and Computicket have donated their services while Music Theatre International New York and the Jonathan Larson Estate has waivered performance royalties, therefore greatly assisting in raising funds for Hospice Wits. The concert also reunites the 2007 creative team of choreographer Jill Somers with Anton Luitingh and Duane Alexander who will recreate their performances in RENT as well as co-direct the concert version. Music Supervisor, Bryan Schimmel will once again, lead the band. 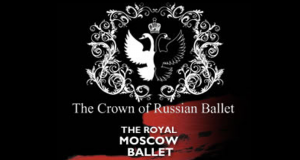 Computicket by calling 0861 915 8000, visit www.computicket.com or visit your nearest Computicket service centre.